In light of National Day, Esplande hosted a series of talks called “Love Stories of Singapore”. 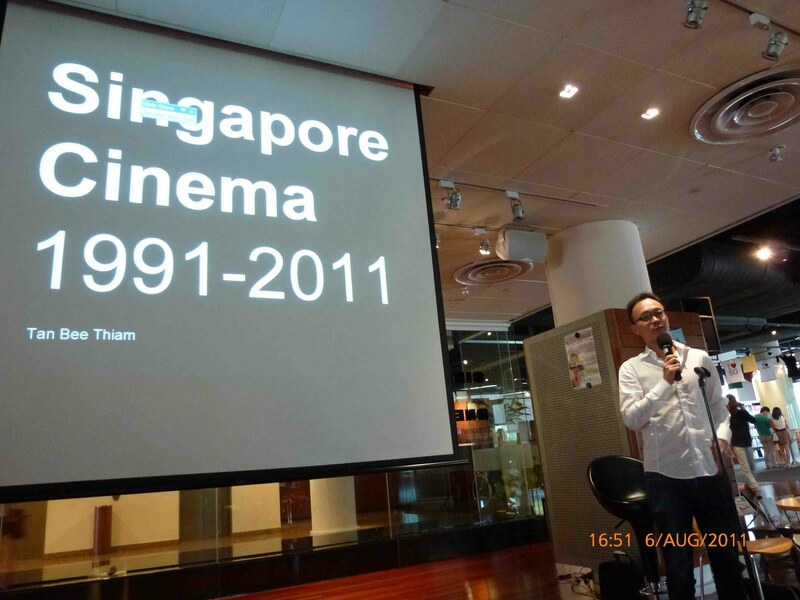 Bee Thiam, as we all know, is a film producer, director, and archivist, was invited to speak on “Singapore’s film history”, where he took us through the history in a very brief, but very engaging and light-hearted session. Speaking about history, much less educating about history can get pretty boring. 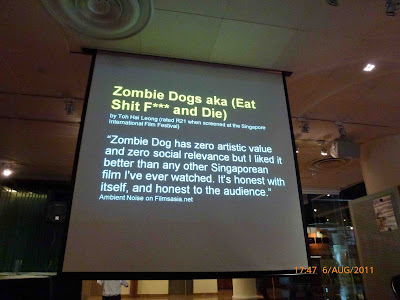 However, thankfully Bee Thiam managed to keep the film history light and engaging. 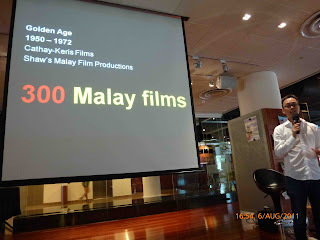 Of course, talking on Singapore film history, one cannot not touch on our past glory days back in the 1930s to 1960s where the film industry in Singapore was booming. Bee Thiam breezed past this part as he later acknowledged, he rather focus on what happened in the film industry for the past 20 years. It is more exciting to observe the redevelopment of the local film industry today. Showing us some cool posters of the olden Singapore films, and speaking of the Golden Era of the film industry in Singapore. Bee Thiam illuminated that though most productions were Malay centric, the production crew was made up of a good mix of other races too, like Chinese, Indians etc. In his words, the film industry was already a very “mufti-racial” industry. However, Bee Thiam failed to mention reasons why there was a decline to the Golden Era, he did acknowledge that he was more interested in explaining what happened in the film industry in Singapore over the past 20 years. To those who are really interested, the decline was attributed to the WWII, and other various economic and political reasons. If you really want to know, this is a really good book to peruse – Latent Images by Jan Uhde and Yvonne Ng Uhde. So anyway, here’s the lead up why Bee Thiam rather focus on what happened between 1991-2011. It is because, between the Golden Era and what books and essays will call the “Revival Era” (1991-present). Anyway, finally the crux of the talk! Bee Thiam illuminated on why Eric Khoo’s works in the early 1990s such as 12 Storeys and Mee Pok Man were so important. In the entire world, as Bee Thiam very kindly explained, the 3 biggest film festivals are Cannes, Venice and Berlin Film Festivals. For Khoo, his films managed to reach these 3 films festivals and win awards! This is mind boggling in itself because as you remember, the drought during 1980s made Singapore film industry seem bleak and dead. Khoo breathed into the film industry hope, that Singapore can have the potential to revive its glory days. Showing a 2 minute clip (okay maybe 5 minutes long, because of some technical difficulty faced during the talk.) from 12 Storeys, Bee Thiam further explained why Khoo was so essential in reviving the film industry in Singapore. In just 2 minutes, Khoo showed extreme mastery in showing so much in such a short time. 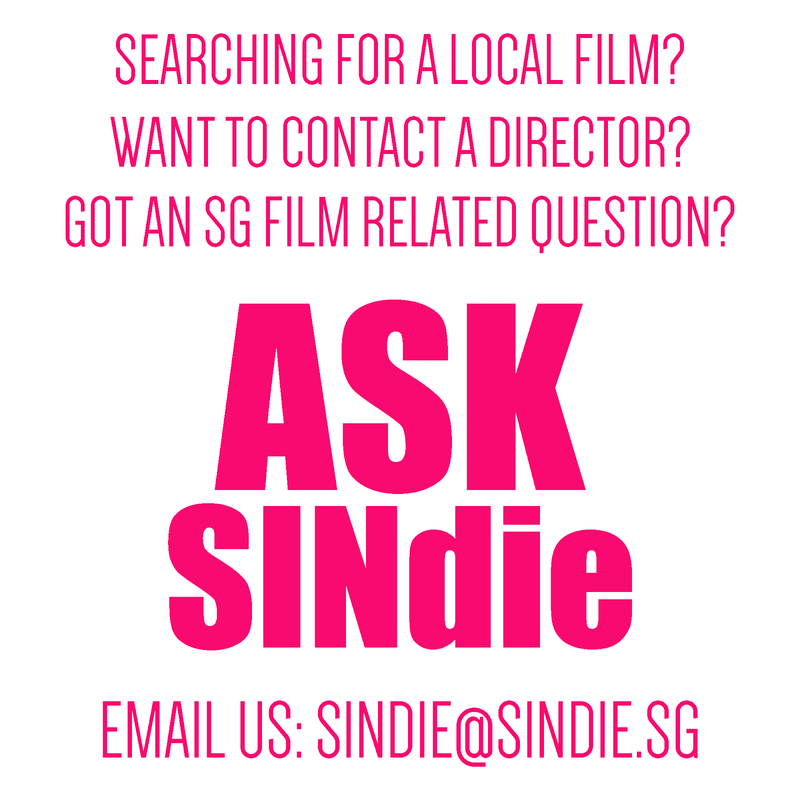 Judging from the lack of any film scene in Singapore, there was this very brave, very unassuming potential (and future) purveyor for film arising from the bleak drudgeries of the 80s making his mark and revolutionizing how everyone, even the government, view the local film industry. From there, everything just fell into place. 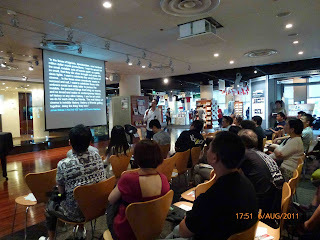 There was Jack Neo, Kelvin Tong, Army Daze, Liang PoPo, and 881 etc. Thank God I found someone else who were also fascinated by box office stats. 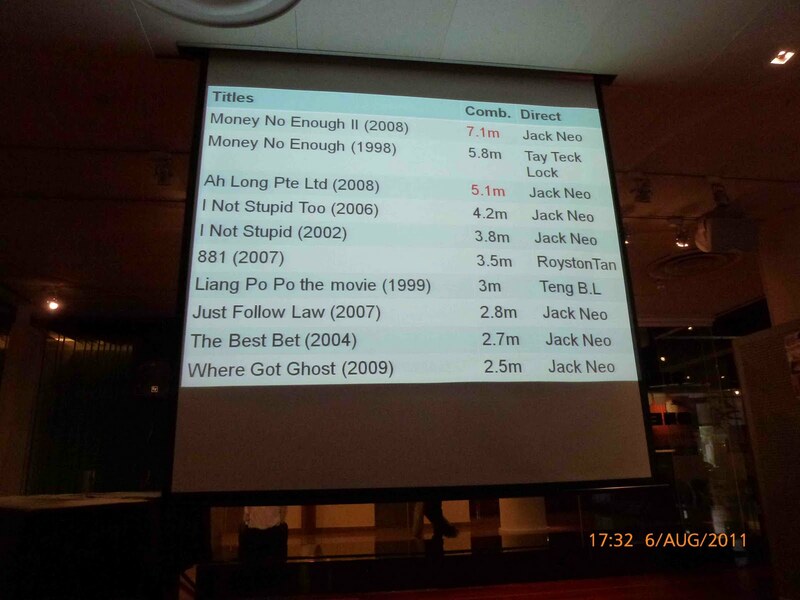 This is the stats Bee Thiam showed, showing the top 10 box office hits of local films made by local directors. 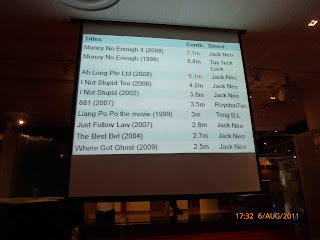 This is the reason why many people can name Jack Neo off the top of their heads if they were asked to name one local film director in Singapore. One interesting point Bee Thiam raised, and I think, which concluded the session well was him mentioning that film now has moved onto a different platform. With the prevalence of online media, people can just as easily upload their films whether a short, a feature, a documentary etc onto video hosting platforms like Youtube or vimeo. Bee Thiam showed a series of slides of young filmmakers who have placed their works online. 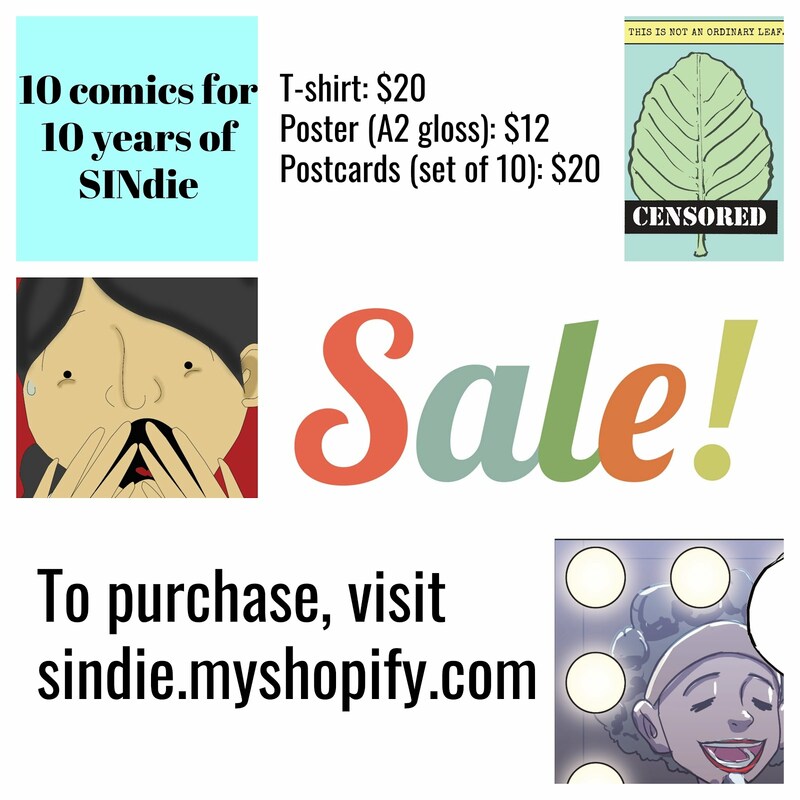 Here's one everyone should watch via this link. 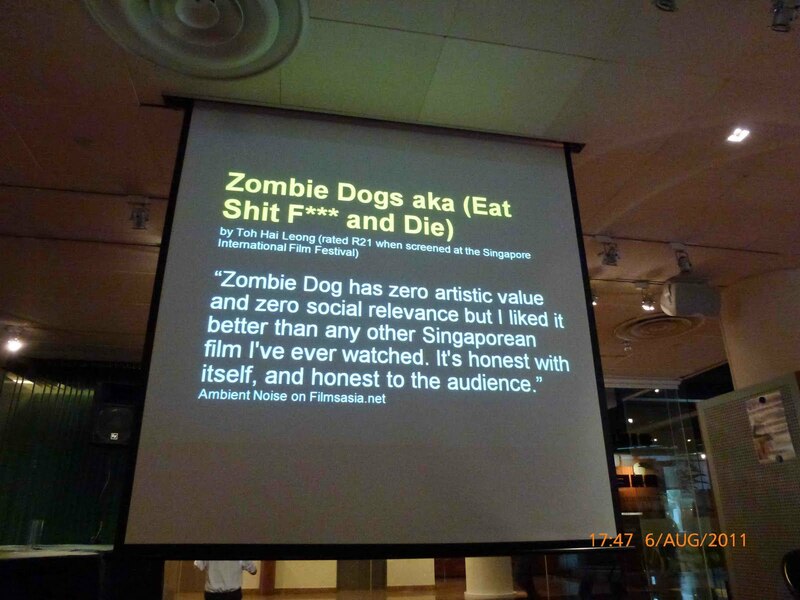 So thus concluded his talk. In parting, Bee Thiam further emphasized on the importance of media. It is quite surprising to see how he is really optimistic that so many things are readily available online. It is so easy to access information. More people can get to learn about the film industry. It’s no longer as esoteric as before. We shall look towards really exciting times in the local film scene! Thank you, Bee Thiam for the lovely talk!